Re: Anyone else draw their ships? And here is the last one! I know that maybe with Illustrator is better but I know more PS so... I take a painty approach to schematics! my pitiful attempt to create digital diagrams. 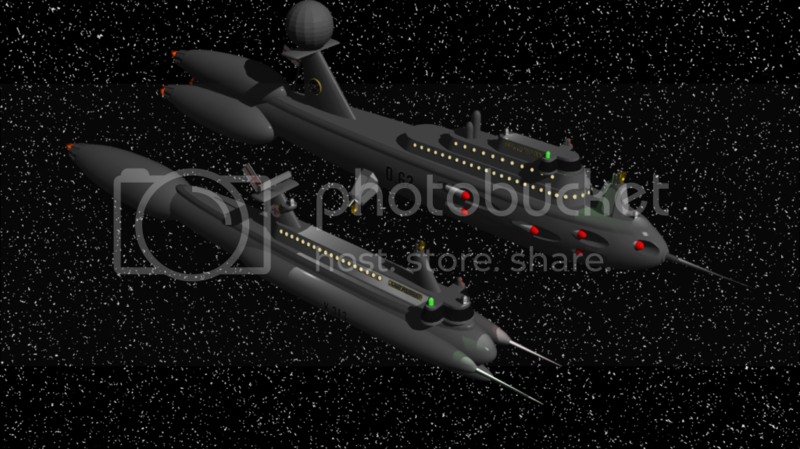 This is for my command ship, a 30,000 ton command cruiser that houses most of the major organs of government. I've dabbled in 3D modeling, and toyed with the idea, but I haven't made anything for Aurora 4X thusfar. Nice art, tho the turret layout is somewhat poor, as you've large blind spots and limited ability to concentrate firepower. 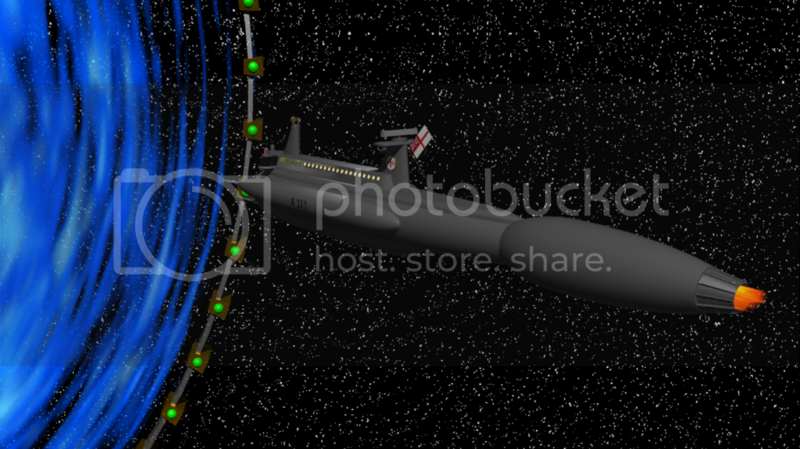 Unless you're attached to that astetic, you might want to look into a superfiring arrangment as warships used iRL to allor guns to fire past each other, and maybe move some guns to the underside, for future designs. Well, I suppose you might not care about that, or handwave it as having technologies that make them unimportant considerations, but I like thinking about such things when designing ships myself. Where did you make those? Maya, Blender... ? Carrara... I got a free copy of it back in the dim and distant days when PC Format would have full software on their cover discs, and I've kept using it through more modern versions purely because it's what I'm used to. Uh, nice menu system, and Poser compatible, very good. I think I might test it for the menus alone. Right now I have to switch back and forth between Poser and other software, because only there I could have overview. And the last one for now... Flower-Class Corvette HMS Snowdrop. 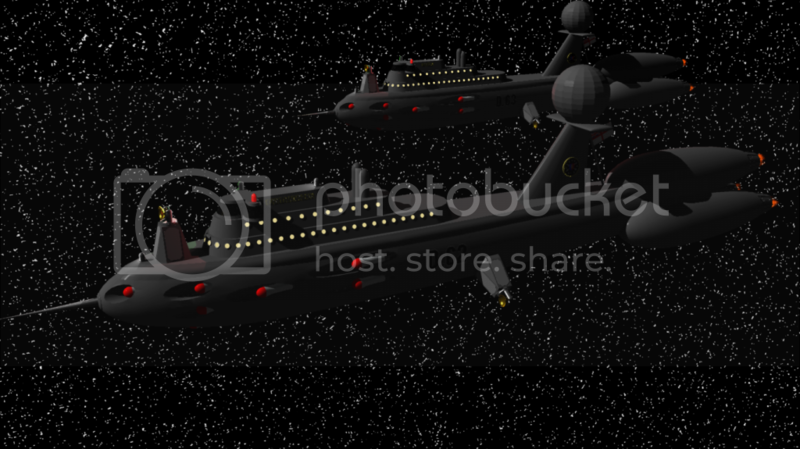 These are specialist jump-point guard ships, armed with a heavy laser armament for their size. This design has led to them being referred to by destroyer crews as "The Flying Forks". I did a few sketches of ships in my current game, first on paper then on the computer. Tried to base it on sloped armor design, but I don't really care for how it looks in 3D. The new Eden Class Construction ship's sole purpose is to build Stargates. (EVE online type) It also has the ability to retrofit gates to allow bigger ships through. I know I'm a little late to the party, but is there any sort of tutorial that can help a complete beginner to make something like you've done? Awesome work by the way.